When diagnosed with limb-girdle muscular dystrophy type 2B (LGMD2B) at the age of 18 in 2005, I retreated into a comfortable cocoon of denial. I was asymptomatic at the time and didn’t want to hear how one day I’d be in a wheelchair or unable to lift my arms. Presented with the choice of becoming an informed and engaged patient or refusing to accept what was happening to me, I chose the latter. Though an advocate today, I remember how difficult it was early on. I remember what it was like to have a yearlong diagnostic odyssey. I remember the shock of learning that I had a muscle disease that could activate at any moment. And I know what it’s like to leave the offices of physicians who had not only never heard of my condition but had no knowledge of what resources were available to me. In retrospect, much of that suffering was preventable. For biopharmaceutical companies, this part of the patient journey is often overlooked. Patient recruitment is difficult. Yet, how many potential clinical trial candidates go unfound because they don’t have the necessary support to be properly diagnosed or make sense of their life to come? How many patients disengage after one frustration too many? They are scared. When patients are presented with an earth-shattering diagnosis, it often mimics the five stages of grief. We grieve for our lost futures, our lost abilities, and our new reality. The first stage of grief is denial, and without support many may never be able to move forward. Physicians don’t know the disease landscape. A patient presenting with symptoms unfamiliar to a physician may result in missed or delayed diagnosis. If not directed to crucial support resources, some patients will likely flounder, while others will try to solve the mystery on their own. They can’t get a proper diagnosis. Bouncing between specialists or inconclusive genetic tests may lead to frustration and uncertainty. Discouragement could cause the patient to give up on trying to find a diagnosis. While there is no single solution for increasing patient engagement, there are intermediate steps biopharmas can take that may be beneficial. Start by seeking to understand the patient experience — from A to Z. Partner with patients to learn about their diagnostic journey, resources sought, and disease knowledge (or lack of) on the part of their physician(s). Understand their fears, resource constraints, and financial well-being. This knowledge is essential in fostering a pipeline of patients complementary toward your drug-development efforts. Consider data-centric solutions, such as helping patients to receive genetic confirmation of their underlying disease. Invest in accurate diagnostic tools, and make them easy for patients to access. More genetically confirmed patients hold the potential of better outcomes. Educating providers may seem intuitive, but there are countless patients who’ve had doctors who don’t know about certain diseases, who misdiagnose common conditions, or who don’t know the resources and services available. Perhaps biopharma could spearhead the development of a tool that aggregates and categorizes information (e.g., foundations, clinical trials, and other resources) for a given disease. Don’t just elucidate; facilitate. While a diagnosis can be devastating and life-changing, it shouldn’t be maddeningly elusive. When properly empowered, patients can be an unstoppable force. Providing the support and resources to help patients better tackle their disease isn’t just the right thing to do; it’s good business. This guest column appears as part of a collaboration with Inspire, a million-member healthcare social network that helps life sciences companies connect with patients. 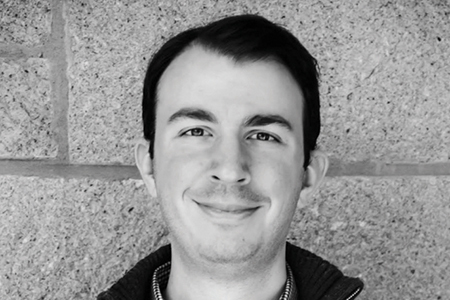 CHRIS ANSELMO is a Connecticut-based freelance writer and marketing consultant. Chris writes about his experience adjusting to life with limb-girdle muscular dystrophy type 2B (LGMD2B) on his website, Sidewalks and Stairwells.